Los Angeles Lakers superstar LeBron James. 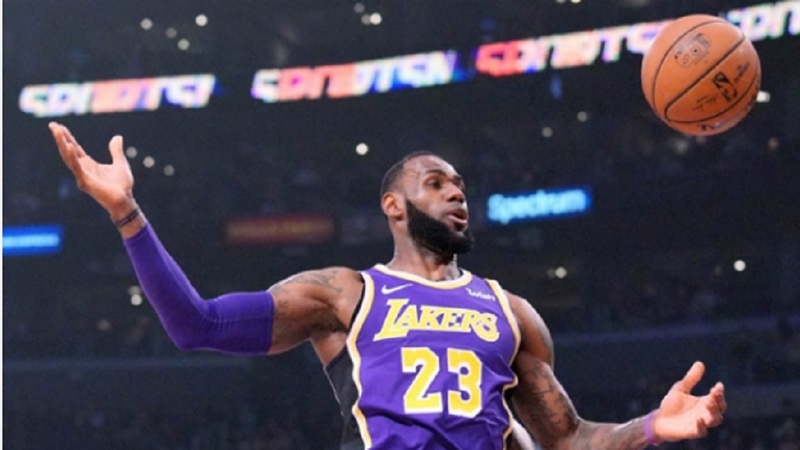 LeBron James led the way as the Los Angeles Lakers extended their winning streak by outlasting the San Antonio Spurs, while Kawhi Leonard and the Toronto Raptors were too good for Jimmy Butler's Philadelphia 76ers. James scored 19 of his 42 points in the final quarter of the Lakers' 121-113 victory over the Spurs in NBA action on Wednesday. The four-time MVP also had six assists and five rebounds as the Lakers celebrated their fourth successive win. Butler's 38 points were not enough for the 76ers, who were outclassed by the Eastern Conference-leading Raptors 113-102 in Toronto. Butler had his best game as a 76er since arriving from the Minnesota Timberwolves on 15-of-27 shooting, while JJ Redick chipped in 25 points. 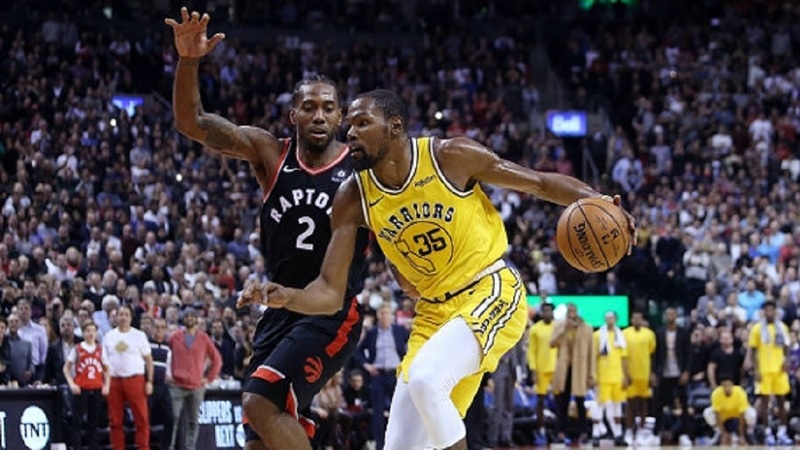 Leonard led the way for Toronto, scoring 36 points that were accompanied by nine rebounds. Jonas Valanciunas had a surprising offensive performance as he poured in 26 points on 9-of-13 shooting. Stephen Curry scored 42 points and hit nine three-pointers in the Golden State Warriors' 129-105 victory over the Cleveland Cavaliers. Paul George scored a franchise-record 25 fourth-quarter points for the Oklahoma City Thunder in their 114-112 comeback win against the Brooklyn Nets. George scored 47 points total on 15-of-27 shooting and grabbed 15 boards as well. Karl-Anthony Towns scored 35 points and made four of his five three-point attempts in the Timberwolves' 121-104 victory over the Charlotte Hornets. Julius Randle had 27 points and 18 rebounds in the New Orleans Pelicans' 132-106 win against the Dallas Mavericks. Joel Embiid recorded a double-double in the 76ers' loss to the Raptors, but only scored 10 points on five-of-17 shooting, which made for an underwhelming night in huge game. Maxi Kleber scored five points on two-of-12 shooting in the Mavericks' defeat. The Milwaukee Bucks improved to 4-0 in their division by beating the Detroit Pistons, and Giannis Antetokounmpo put Blake Griffin on a poster along the way. Houston have lost three of their last five games, and the Rockets have been struggling with their depth. Fortunately for the Rockets, they expect to get Brandon Knight back soon to help their backcourt woes. Meanwhile, the Utah Jazz are coming off their most dominant win of the year after defeating San Antonio on Tuesday. 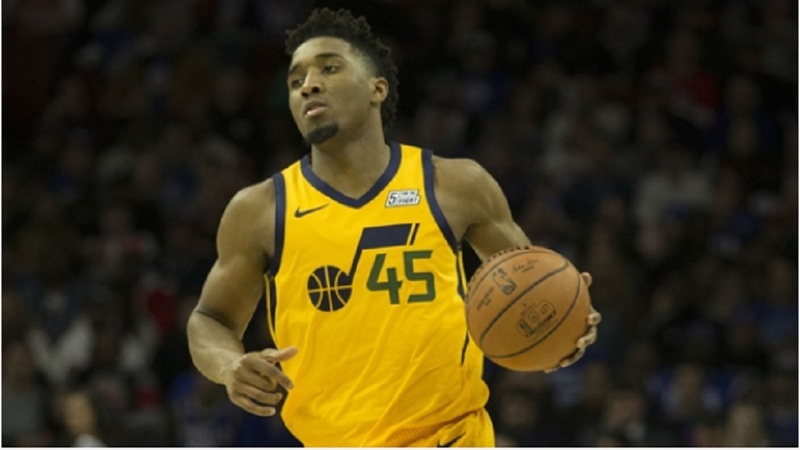 James Harden and Chris Paul should have an interesting battle with Ricky Rubio and Donovan Mitchell, but it is not all about the guards. 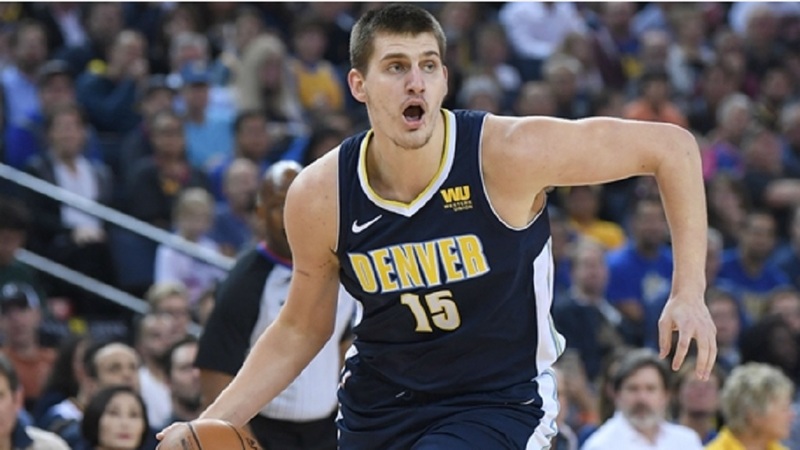 Clint Capela and Rudy Gobert will each be trying to assert their dominance in the paint, so it should make for some fun basketball.